1/1100 Scale Aircraft Carrier USS Enterprise (CV-6): Length: 9.5", Width: 1.25" Warships of the World collection from Eaglemoss is a breakthrough for both military and maritime enthusiasts. 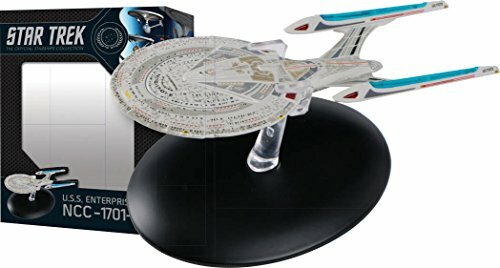 Each has details and features that even the most discriminating collectors will appreciate: A consistent 1:1100 scale that makes for a stunning display, with each ship visually comparable to all the others in the collection. Heavy-duty metal construction with finely molded plastic detail parts. Miniature aircraft with cranes, detailed guns with blast bags, and a complete superstructure. Textured surfaces that simulate wooden decks, intricate ironwork, chains and cleats. Accurate colors and markings, from anti-fouling paint on the hulls to camouflage patterns, national insignia (including roundels on aircraft), and even runway markings. 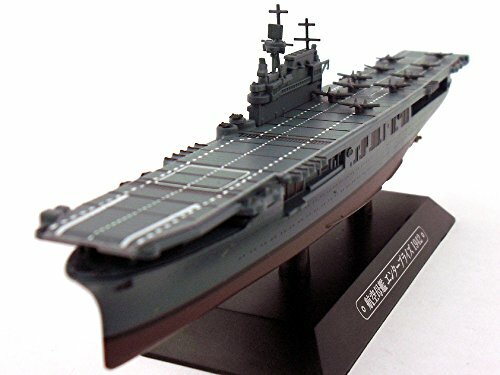 A removable, customized display stand with the ship's name (in Japanese) and year. 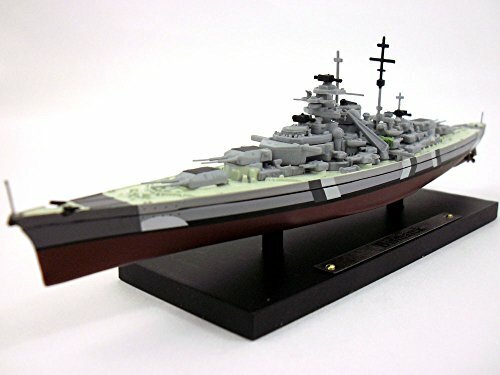 1/1250 Scale German Kriegsmarine Battleship Bismarck: Length: 7.75", Width: 1.125" The collection of World War II Warships from Atlas at 1/1250 scale come already assembled and painted. There is no assembly or painting needed. They are constructed of diecast metal and plastic parts. They have no moving parts. Each ship is attached to a removable display stand and each display stand has a metal nameplate. The base of the stand measures 4.75" by 1.75". These models are made for display and are not really toys. They are very fragile and will not last long if played with. The recommended age is 14 years and older. 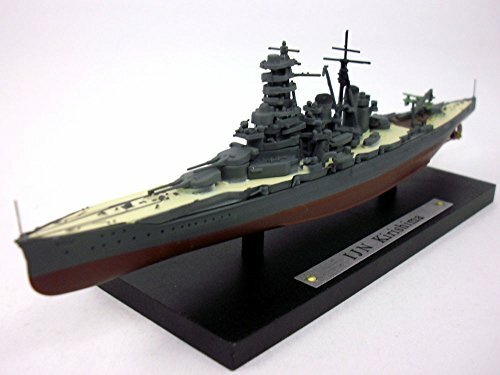 The models come packaged inside a plastic shell and this in turn is inside a cardboard box measuring 10.25" by 2" by 4"
1/1250 Scale Imperial Japanese Navy Battleship Kirishima: Length: 7", Width: 1.125" The collection of World War II Warships from Atlas at 1/1250 scale come already assembled and painted. There is no assembly or painting needed. They are constructed of diecast metal and plastic parts. They have no moving parts. Each ship is attached to a removable display stand and each display stand has a metal nameplate. The base of the stand measures 4.75" by 1.75". These models are made for display and are not really toys. They are very fragile and will not last long if played with. The recommended age is 14 years and older. The models come packaged inside a plastic shell and this in turn is inside a cardboard box measuring 10.25" by 2" by 4"
1/1250 USS Saratoga (CV-3) US Navy Aircraft Carrier: Length: 8.5", Width: 1.25" The collection of World War II Warships from Atlas at 1/1250 scale come already assembled and painted. There is no assembly or painting needed. They are constructed of diecast metal and plastic parts. They have no moving parts. Each ship is attached to a removable display stand and each display stand has a metal nameplate. The base of the stand measures 4.75" by 1.75". These models are made for display and are not really toys. They are very fragile and will not last long if played with. The recommended age is 14 years and older. The models come packaged inside a plastic shell and this in turn is inside a cardboard box measuring 10.25" by 2" by 4"
This tiny fleet's worth of Star Wars ships, all from the impressive Black Series and Titanium Series by Hasbro, are small scale yet full of details. Each has its own display stand, which gives it the appearance of hovering. 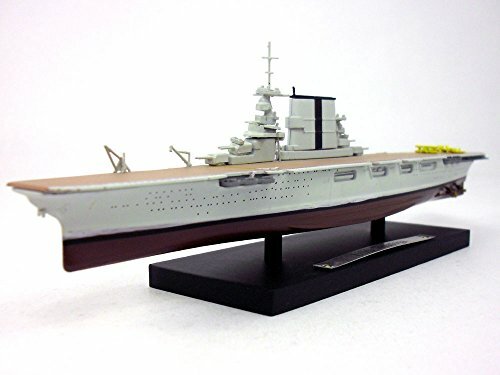 1/1100 Scale Battleship New Jersey: Length: 9.5", Width: 1.25". Warships of the World collection from Eaglemoss is a breakthrough for both military and maritime enthusiasts. 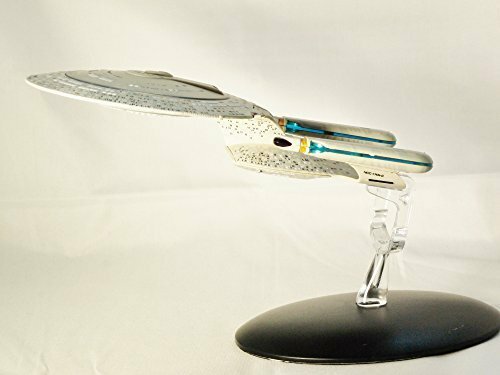 Each has details and features that even the most discriminating collectors will appreciate: A consistent 1:1100 scale that makes for a stunning display, with each ship visually comparable to all the others in the collection. Heavy-duty metal construction with finely molded plastic detail parts. Miniature aircraft with cranes, detailed guns with blast bags, and a complete superstructure. Textured surfaces that simulate wooden decks, intricate ironwork, chains and cleats. Accurate colors and markings, from anti-fouling paint on the hulls to camouflage patterns, national insignia (including roundels on aircraft), and even runway markings. 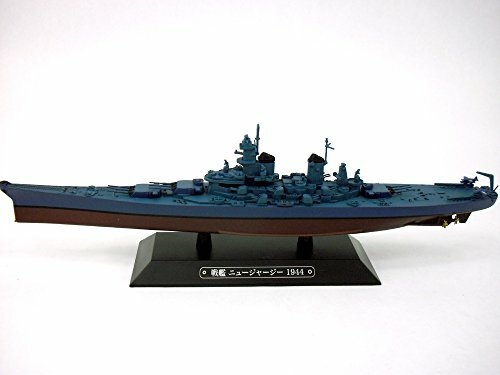 A removable, customized display stand with the ship's name (in Japanese) and year. The packaging for this model is very minimal consisting of a clear plastic clam shell. This type of packaging is disposable and its sole function is to protect the model. 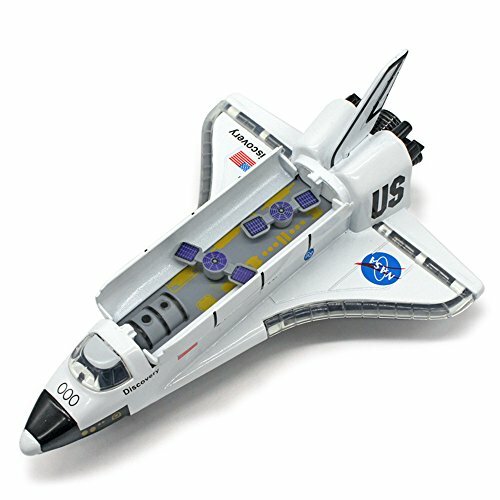 Features: Material: Alloy, ABS Plastic, Rubber Size: 19.5cm (L) x 7.8cm (H) x 14cm (W) Package includes: 1pcs NASA Space Shuttle Alloy Model; Importance 1:children should be supervised by parents or guardians while playing. Importance 2:The item was made of Alloy, it may have a little paint Scratches during the transportation, but it won't affect you play. If you mind, kindly do not purchase here. Importance 3:Please do not blow and damage. My Forces of Valor 1:700 diecast warship collection! I absolutely love these models! From a factory in Shenzen, China. A quick video to address some questions I have received recently. If you would like to see anything I do covered in a tutorial, leave a comment down below! 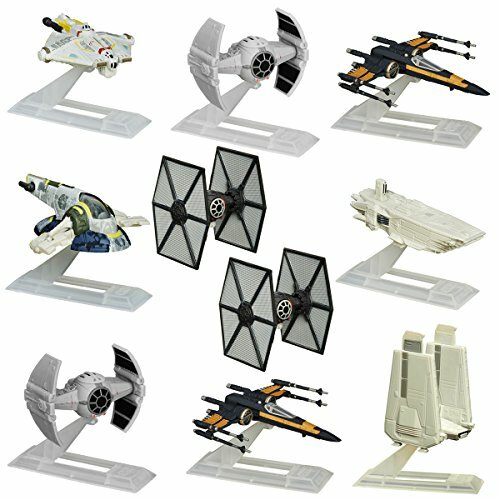 Compare prices on Die Cast Ship Models at ShoppinGent.com – use promo codes and coupons for best offers and deals. Start smart buying with ShoppinGent.com right now and choose your golden price on every purchase.